A major construction milestone in The Q Transformation to update and modernise the 25-year old publicly-owned Quicken Loans Arena was celebrated today with a special topping off ceremony to hoist the project’s final steel beam into place atop of the arena. Joining Cleveland Cavaliers and Quicken Loans Arena CEO Len Komoroski, Cleveland Mayor Frank Jackson, Cuyahoga County Executive Armond Budish, Cleveland City Council President Kevin Kelley, and Cuyahoga County Council Vice President Kernel Jones, were invited guests and project workers who gathered to sign the 21ft, 650 pound beam before watching it being raised to its permanent position above The Q. 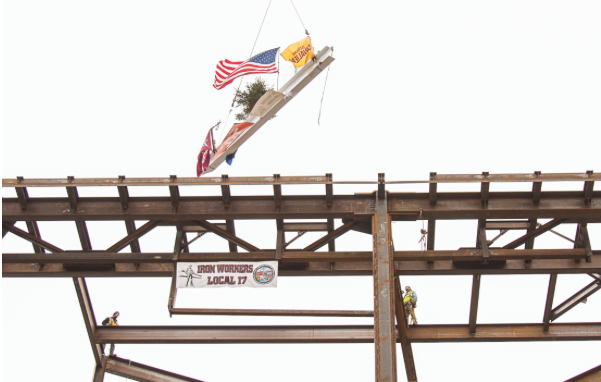 In keeping with the topping off tradition, in addition to an evergreen tree and an American flag, flags representing the City of Cleveland and Cuyahoga County, along with flags representing the Iron Workers Union Local #17, Forest City Erectors, Whiting-Turner, the Cleveland Cavaliers and the Cleveland Monsters were placed on the beam. As the final beam is raised on the Q Transformation project, I want to recognise the Cleveland Cavaliers for their commitment to the citizens of Cleveland. Through the financial, economic and community benefits the people of Cleveland gained through this project, the project continues to be a valuable investment in our city’s neighbourhoods and our future. This topping off is a great milestone for this important project. Our investment in The Q is an investment in the future of this community. The Q is one of the key economic drivers of our county, bringing millions of fans to hundreds of events. These are people who then spend money in our restaurants and bars and in our shops. Add to that the almost 1,500 construction jobs that have been created by this transformation and this is a project we can all be proud of. As of December 2018, 1,457 union tradesmen and women that represent 24 local unions have clocked 173,868 hours on The Q Transformation job site. The Cavaliers are also proud to report that The Q Transformation minority, female and small business and workforce inclusion efforts continue to exceed the project goals pursuant to the City of Cleveland’s Community Benefits Agreement (CBA), endorsed by the County, and adopted in resolution by Gateway Economic Development Corp.
From the onset, our goal was to ensure that we provided opportunities for a local and diverse group of subcontractors, vendors, tradesmen and women to be a part of this major community project. Being able to exceed the project’s goals thus far is part of this milestone celebration today and something all of us can be very proud of. We also want to commend and thank our general contractor, Whiting-Turner, for their partnership and commitment towards our diversity and inclusion efforts. We will continue to make that commitment a top priority as the project heads towards the finish line later this year. Work on the south side of the arena is near completion, adding 6,350sqft to provide a more expansive and modernised Discount Drug Mart South Entrance along with the new “South Neighborhood,” a social gathering spot featuring a great lineup of new food and beverage offerings. Scheduled to be the first to open in mid-February is the new Saucy Brew Works Pub, and soon thereafter, two exciting food concepts from local chefs Jonathan Sawyer of the Greenhouse Tavern and Karen Small of the Flying Fig. 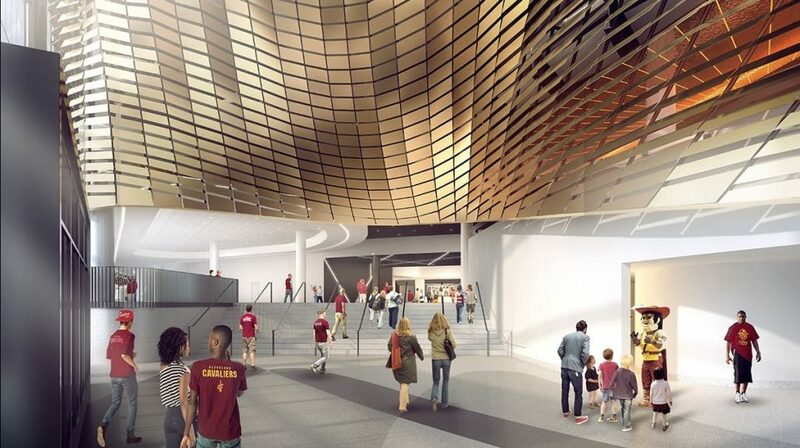 The Q Transformation is a private/public partnership between the City of Cleveland, Cuyahoga County and the Cavaliers that will modernise the venue to maintain its world-class status and remain a cornerstone for the continued growth and momentum of a city and region on the rise. Since the arena opened in 1994 in the Gateway District, it has been a core catalytic part of the over US$1bn in development in the downtown neighbourhood that has become a vibrant live, work and play destination. The transformation project’s total investment scope has grown to US$185m from its original US$140m 50-50 private/public funding agreement. 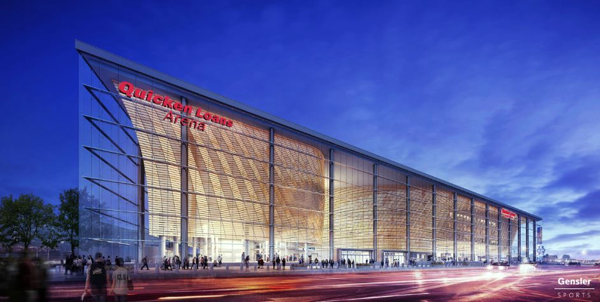 When Cavaliers Chairman Dan Gilbert and the Cavs organisation committed an additional US$45m of private funding towards additional updates and improvements to The Q, it raised the team’s current private funding commitment from US$70m to US$115m. 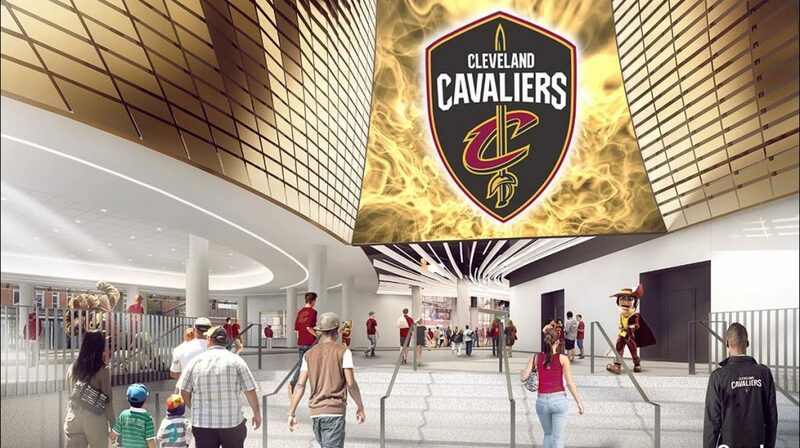 The Cavaliers’ portion of the funding covers all non-public, club, suite, team, premium space, AV/LED, lighting and multi-media upgrades, as well as a significant portion of the public space updates, which includes concourse improvements and square footage increases. As work continues on the exterior and interior of The Q throughout the Cavaliers 2018-19 season, the arena will close again for the summer of 2019 to complete the transformation. The newly renovated arena will re-open for the start of the Cavaliers, Monsters and entertainment season in October 2019. 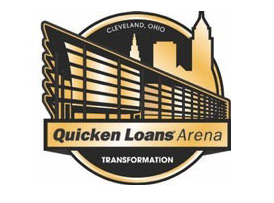 The Q Transformation is a major renovation project to update the Quicken Loans Arena (The Q) as it enters its 25th year of operation. The Q is home to the NBA Cleveland Cavaliers, AHL Cleveland Monsters and over 200 ticketed events annually. The publicly-owned arena, located in the Gateway District in downtown Cleveland, is operated by the Cavaliers organisation. 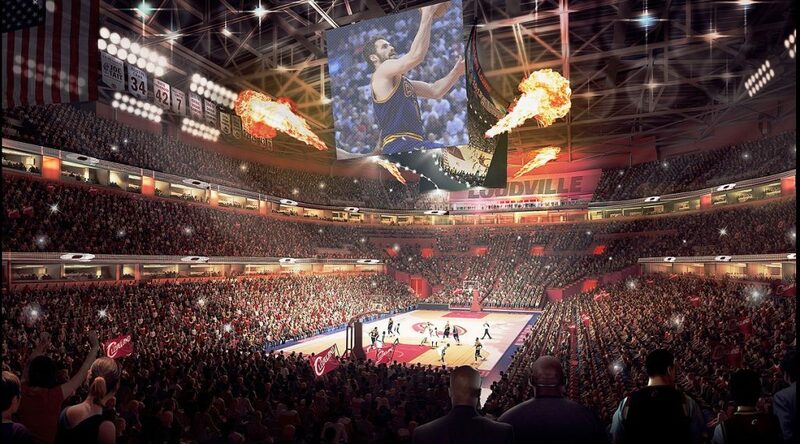 The project is a partnership between the City of Cleveland, Cuyahoga County and the Cavaliers that will modernise the venue to maintain its elite status, enhance the fan experience, and continue to provide a positive impact for the city of Cleveland, the community and neighborhoods and the region over the long-term. 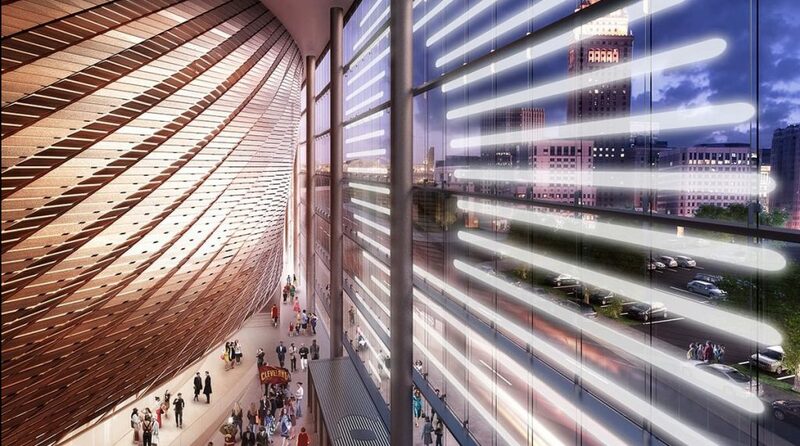 The Q Transformation will extend the Cavs lease for seven more years through 2034, committing to the arena for at least 40 years since the team’s original lease, which is among the longest facility tenures in pro sports. 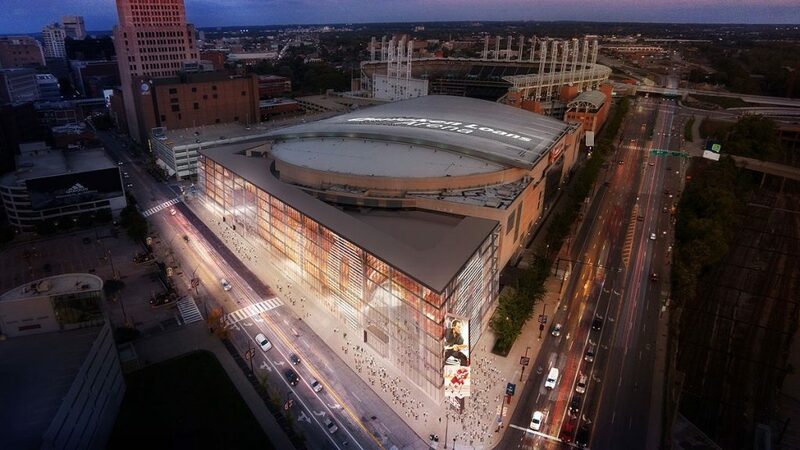 The Q Transformation will help the arena and community compete for major national events such as the recently announced NBA All-Star Game that will be hosted in Cleveland in 2022— in addition to large political conventions, NCAA events, and numerous other opportunities well into future. The transformation of Quicken Loans Arena will be completed for the start of the Cavaliers 2019-2020 NBA season. To learn more, go to TheQTransformation.com.